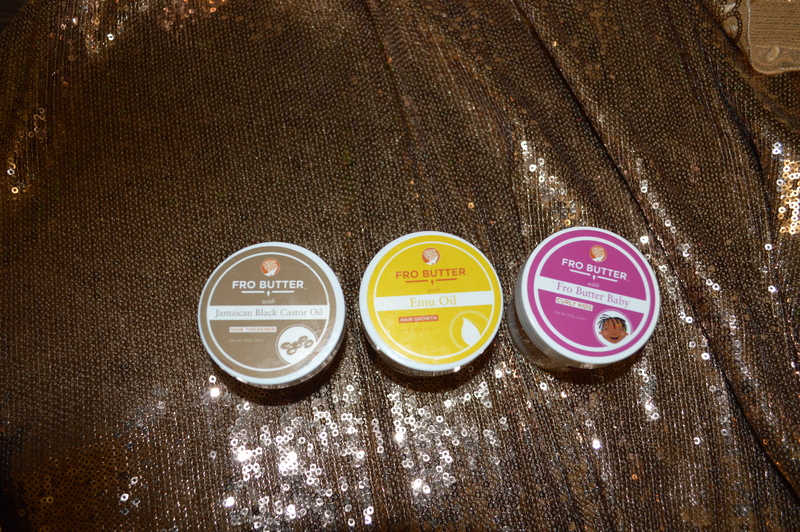 I had the pleasure of sampling 3 of the trial sized containers of Fro Butter at just $5 each. 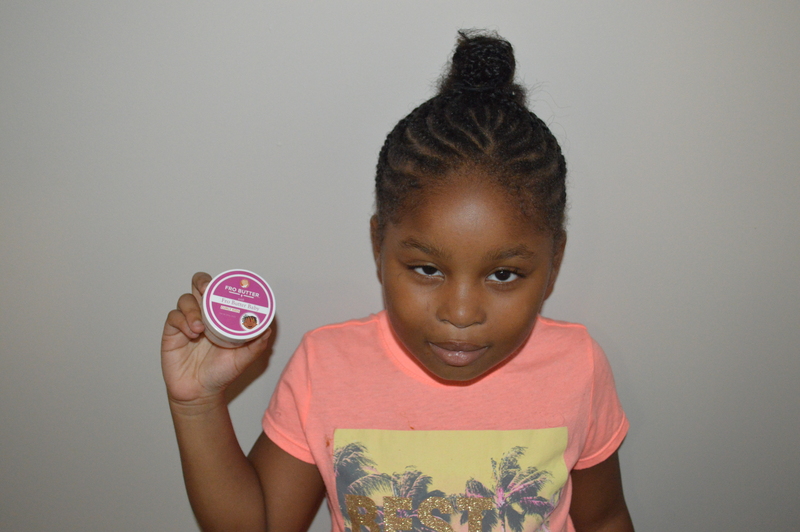 This product is all natural whipped shea butter infused with natural oils intended to help stimulate hair growth. These butters are whipped nicely accompanied by a subtle fragrance. I own a ton of hair products and many of them are heavily scented with fragrances but with these butters you won’t have that problem at all. The scent is very subtle and soothing. The other 2 butters were Emu Oil, and Jamaican Black Castor Oil. These 2 were infused with Emu Oil and Jamaican Black Castor Oil. 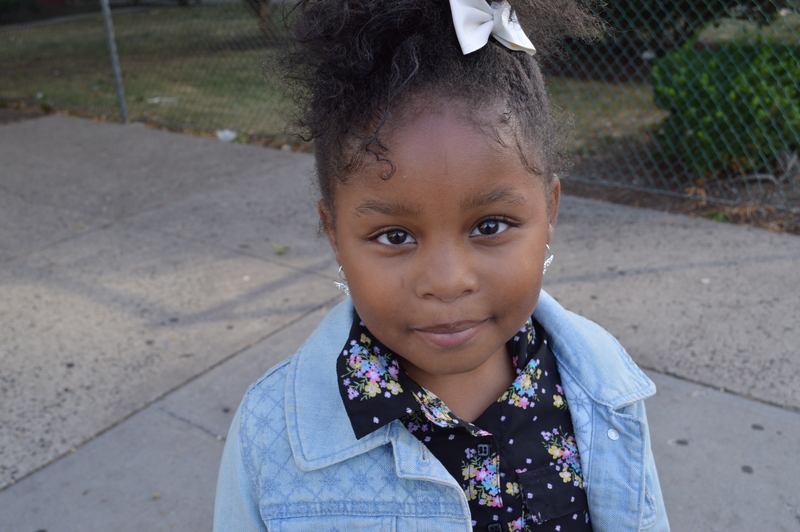 Emu and Jamaican black castor oil are both highly beneficial in stimulating hair growth. 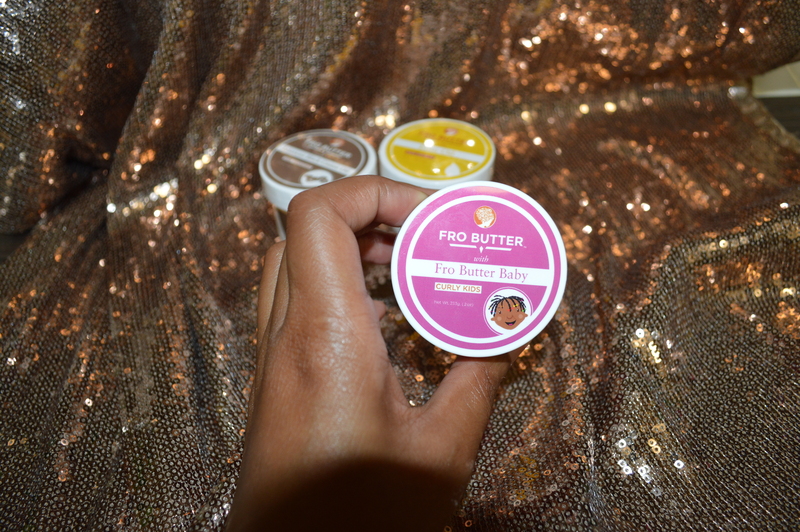 These fro butters are perfect for molding your fro into that perfect two strand twists for a defined twist out. 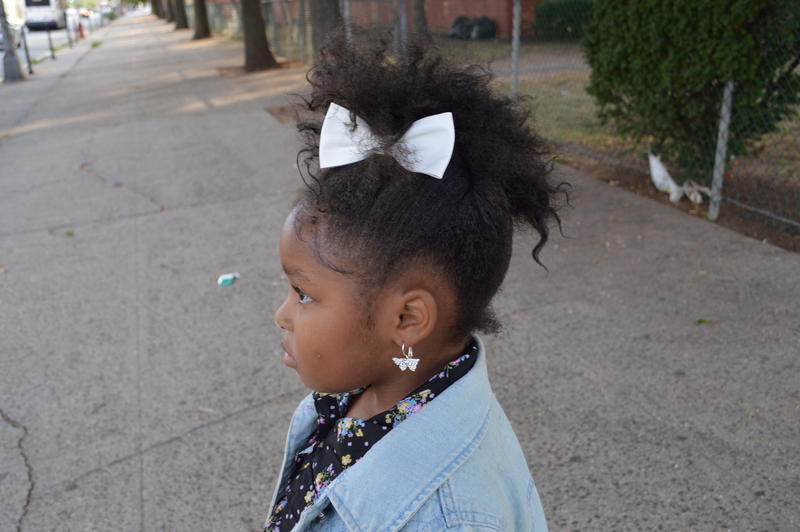 I used the ‘Fro Butter Baby’ on my 7 year old daughter’s hair for a fro-hawk and while braiding her hair as well. This product worked better than my usual raw shea since this butter was whipped and easier to maneuver. They are both beneficial none the less. 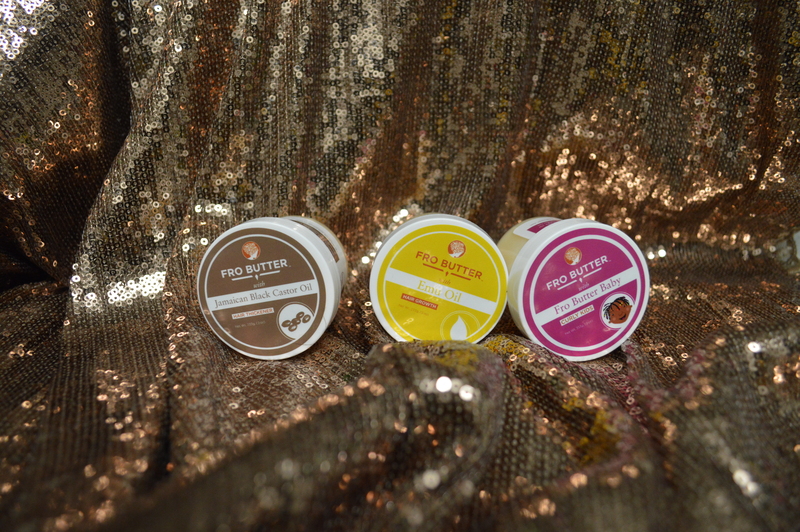 For more information on how to purchase Fro Butter you can visit their website frobutter.com.